Above: People walk by a mural in Tokyo's Shibuya district depicting scenes from the "Akira" manga. “Akira” begins with a giant flash of light, signaling an explosion that decimates 1980s Tokyo and starts World War III. The film then jumps forward to 2019, a year in which the metropolis has rebuilt itself as Neo-Tokyo and is preparing to host the Olympics (sound familiar?). At the same time, “Akira” can probably best be described as a singular, unrepeatable phenomenon that was made at a time when ambition and budgets in the Japanese animation industry were at an unprecedented high. Three decades after the release of the film, with a distinctly un-cyberpunk 2019 looming on the horizon, it’s worth asking why we’re still talking about “Akira” and what it all means today. “Akira” was first born in December 1982 as a serialized manga in the pages of Kodansha’s Young Magazine. It was created by Katsuhiro Otomo, a native of Tome, Miyagi Prefecture, who made his debut as a manga writer and illustrator in 1973. It ended up becoming Otomo’s magnum opus, running for eight years and filling six phone book-sized volumes. 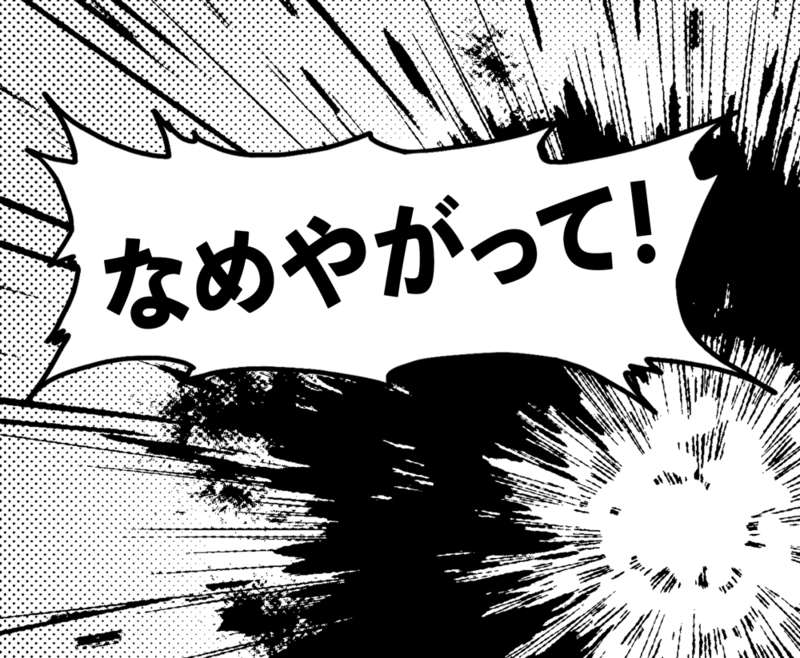 However, the themes that dominated the original manga were also present in the author’s earlier works, such as “Fireball” and “Domu,” which featured dystopian cities, revolutionaries, motorcycle punks and psychic powers. Like “Akira,” those earlier works also featured incredibly intricate penciling and cinematic pacing. Set in 2019 in the dystopian city of Neo-Tokyo, “Akira” centers around a motorcycle gang who become involved in the fate of the city itself when one member, Tetsuo, has a run-in with a strange boy who wields psychic powers. This encounter activates a latent power within Tetsuo: a power dangerously close to that once wielded by Akira, a child who, rumor has it, had something to do with the destruction of the city and start of World War III. “Akira” was a hit with the readers of Young Magazine. Within a few years of the manga’s serialization, it was decided that Otomo’s work would become an animated feature film — and not just any feature film. “Akira” was granted the largest budget of any anime movie up to that point — more than ¥1 billion. The committee may have supplied the funding, but “Akira” remained, creatively speaking, in Otomo’s hands. The manga author, who had directed only two animated shorts before helming the film, served as its director and co-screenwriter, and all aspects of the production flowed through him. 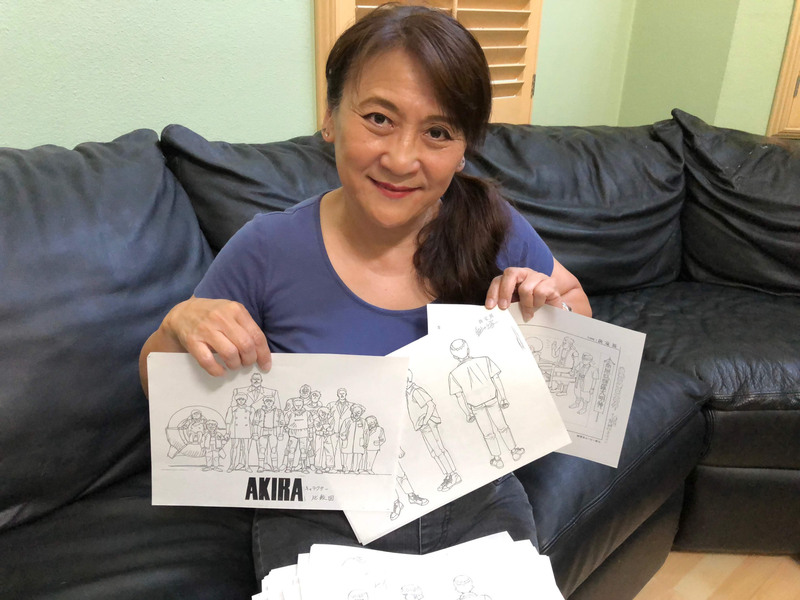 The production of the film brought together some of the most talented animators in the business, including Koji Morimoto, Hiroyuki Okiura, Toshiyuki Inoue and Takashi Nakamura — names that still activate the salivary glands of many anime fans today. Hand-drawn handiwork: Manga creator Katsuhiro Otomo was given a budget of more than ¥1 billion to make “Akira.”© 1988 MASH•ROOM / AKIRA COMMITTEE All Rights Reserved. Kaneda on his bike in the opening chase scene in the anime "AKIRA" © 1988 MASH•ROOM / AKIRA COMMITTEE All Rights Reserved. In the 1960s, Osamu Tezuka, who created “Tetsuwan Atomu” (also known as “Astro Boy”) laid down the template that Japanese animation productions by and large still follow: Unable to compete with animation giant Disney and other players in terms of budget, anime studios were forced to employ “limited animation” in which illustrators would produce less realistic, more stylistic animation with lower frame rates to save time and money. However, “Akira” would be different. The massive budget afforded the crew luxuries rarely used in the history of Japanese animation, including pre-recorded voice acting for syllable-perfect lip synchronization, the early use of basic computer-generated imagery and, most importantly, a massive frame count that gave the film a fluidity that was anything but limited. Kuni Tomita, a key animator on the film, says it was “incredibly hard” to meet Otomo’s exacting standards. 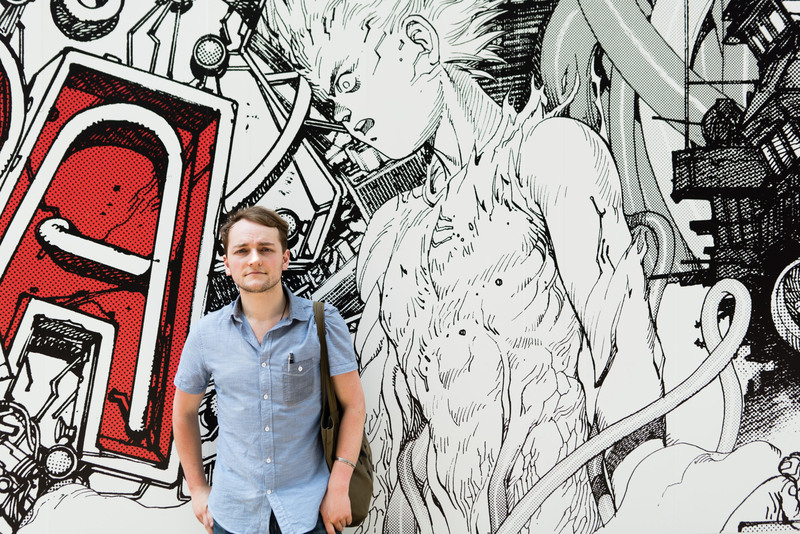 Joe Peacock, an “Akira” collector who owns a significant number of frames from the film, agrees. “Akira” was released on July 16, 1988, and was generally well-received. In the year-end edition of Kinema Junpo, “Akira” came in at No. 4 on a poll of readers’ favorite films of 1988. It was up against some pretty tough competition in the animation department — Studio Ghibli’s “My Neighbor Totoro” and “Grave of the Fireflies” were also released the same year. By the time its domestic theatrical run had come to an end, “Akira” had taken in ¥750 million at the box office — less than the film’s enormous budget, but more than enough for it to be considered a hit. However, praise for the film was not universal. The Asahi Shimbun quoted audiences emerging from theaters who complained that the story was hard to follow. Despite having worked on the film herself, Tomita was able to relate. All in all, “Akira” had done well in Japan. In order to secure its reputation as a legend, however, “Akira” would have to go West. The cityscape of Neo-Tokyo in the anime "AKIRA" © 1988 MASH•ROOM / AKIRA COMMITTEE All Rights Reserved. Today, the licensing of Japanese animation for overseas distribution is a multimillion-dollar industry. In the late 1980s, though, aside from a few heavily Westernized titles, anime was practically unheard of. This, however, was about to change. 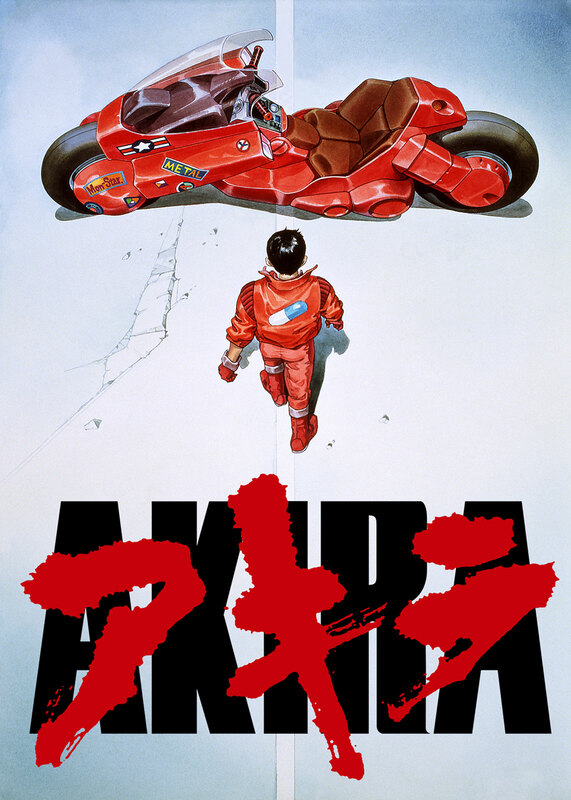 In the United States, “Akira” officially premiered on Christmas Day in 1989. A mini-release took it to major cities across the country in early 1990 before receiving a wider release in arthouse cinemas the same year. Otomo traveled to the United States for the film’s New York premiere in October of that year. The film was distributed by Streamline Pictures, an early U.S. anime licensor co-founded by Carl Macek, who had found success adapting a group of giant robot series from Japan into “Robotech” earlier in the ’80s. Streamline also later released the film on video. In addition to English, the film was eventually dubbed into German (twice), French (twice), Spanish (three times) and subtitled into many more languages. It received an updated Italian dub this year. Some mainstream critics at the time dismissed the film. Others, however, seemed to be on board. 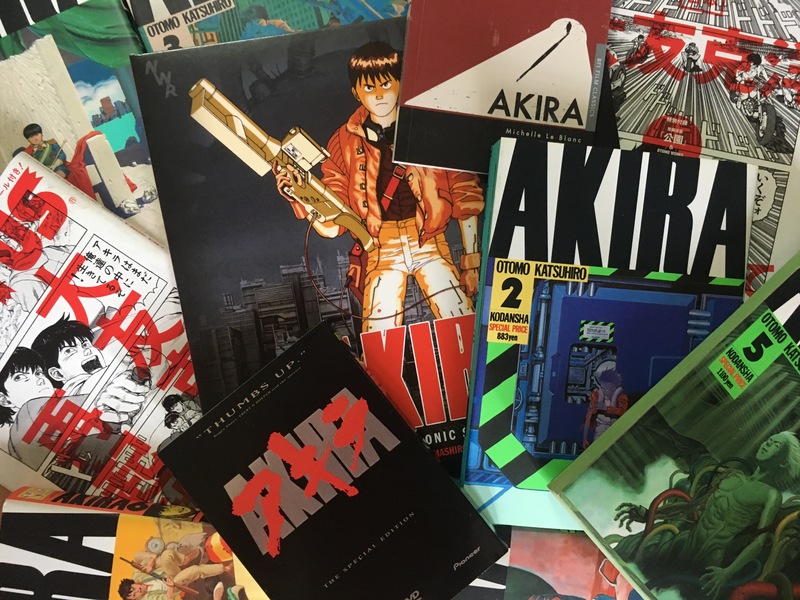 Meanwhile, sci-fi fans whose pumps had been primed by films such as “Blade Runner,” the fiction of William Gibson and the small amount of anime they’d been able to get their hands on at the time now typically describe “Akira” as life-changing. Carl Gustav Horn, manga editor at Dark Horse Comics, agrees. 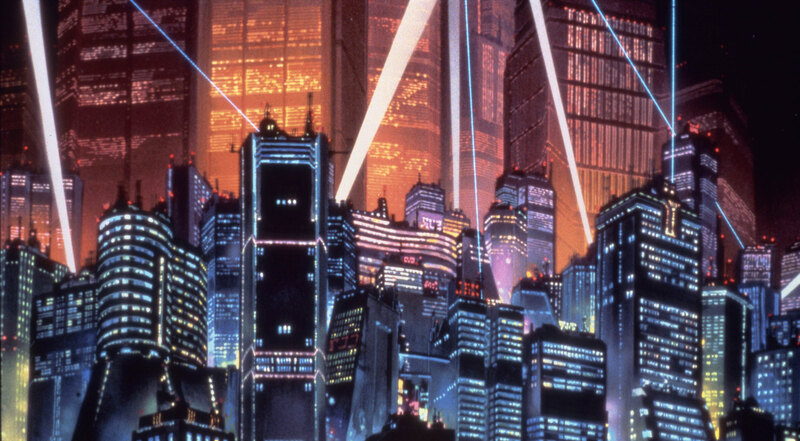 Despite (or perhaps because of) its dangerous, gritty atmosphere, the film’s dystopian vision of Neo-Tokyo was irresistible. McCarthy definitely saw parallels in such a perspective. “The film’s imagined Tokyo was so achingly hip that people would have killed — or died — to live there,” she says. 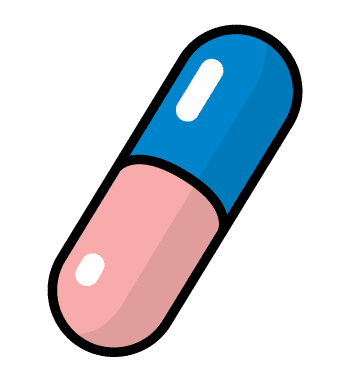 “Akira” was “cool Japan” before the term had been officially adopted by government bureaucrats. Unlike the cute characters of “Pokemon” that were to eventually serve as Japan’s cultural ambassadors a decade later, the ultraviolent “Akira” had an edge — an edge that was strengthened by the historical context of the period. It seemed a certain segment of the audience would welcome such a takeover. Over the next few years following the film’s release, a handful of distributors, following Streamline’s lead, set up shop to license and release anime in the West. In the intervening 30 years, “Akira” has never really disappeared. The film’s long-standing influence on Hollywood has been well-documented, with releases such as “The Matrix,” “Inception,” “Looper,” “Chronicle” and “Stranger Things” drawing inspiration from it in some fashion. Most recently, the film’s famous motorcycle appeared in “Ready Player One.” In 2002, Warner Bros. secured the rights for a live-action “Akira” remake but the project is stuck in development limbo. In Japan, those who worked under Otomo — Satoshi Kon, Takashi Nakamura and Hiroyuki Okiura, to name but a few — went on to become lauded anime directors in their own right. Meanwhile, samples of the film’s thunderous polyrhythmic soundtrack and English dub made their way into tracks by artists such as Underworld, Sunbeam, Atari Teenage Riot, Pop Will Eat Itself, Sonic Subjunkies and more. 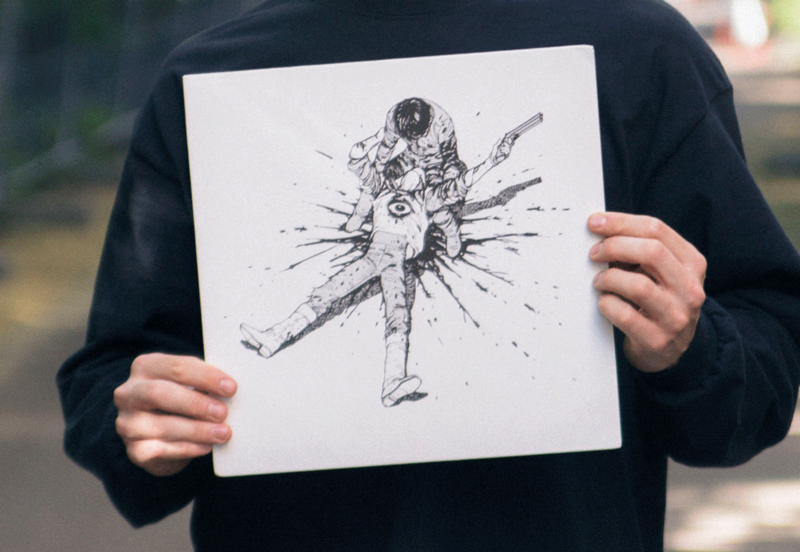 By the mid-’90s, the sounds of “Akira” could be heard pumping through underground clubs and venues around the world. 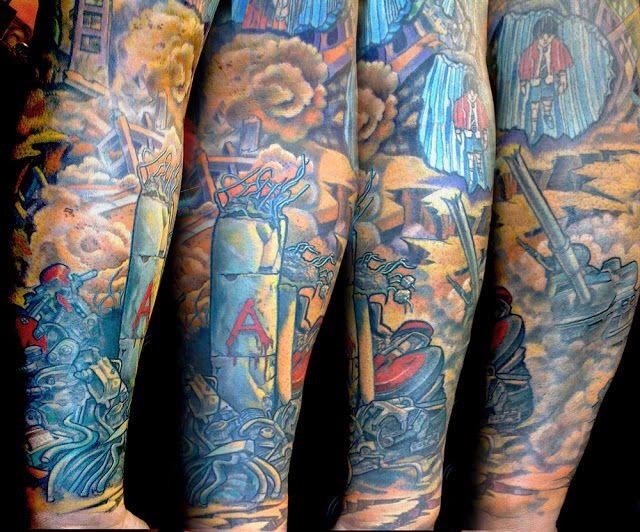 “Akira” even influenced the way people dressed. Bootleg patches of the film’s iconic capsule logo — “good for health, bad for education” — have found their way onto hundreds of leather jackets over the years. 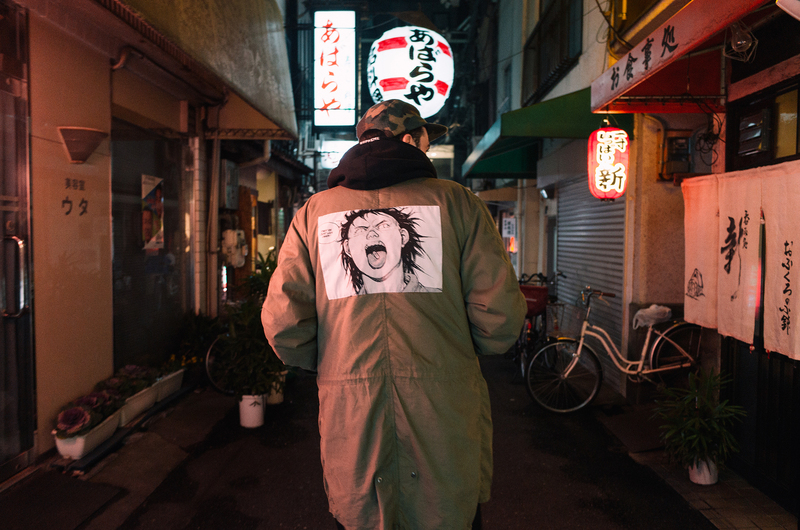 In 2017, streetwear brand Supreme released a series of shirts, sweaters and jackets featuring “Akira” imagery. The collection sold out in minutes. For some, the cultural acceptance has been profound. “Akira” was released in 1988 at the height of Japan’s economic bubble, when spending more than ¥1 billion on an animated movie didn’t seem like a preposterous thing to do. Otomo seemed to have little interest in repeating himself, either. The director — who was inducted into France’s Order of Arts and Letters in 2005 — went on to write or helm several other anime films, but none were in the same cyberpunk style. His “Steamboy,” released in 2004, had production values that in some ways rivaled those of “Akira,” but its plot was widely panned by critics. For all its spectacle (and despite its occasionally confusing narrative), “Akira” had ultimately connected with audiences on a level that went beyond mere flashy animation. Otomo’s Neo-Tokyo was filled not just with high technology, but urban sprawl, disaffection and unrest. Drawing from real-life events, Otomo evoked the postwar, post-nuclear mood of the 1950s, the student movements of the ’60s and the wave of “new religions” in the ’70s and ’80s. “(Otomo raised) questions about inner city youth, social justice, corruption and public gullibility that are still unanswered,” McCarthy says. The director was prescient not just about the 2020 Tokyo Olympics, but the danger of religious cults — Aum Shinrikyo carried out its sarin gas attack on Tokyo’s subway lines just a few years later — and the tottering instability of a society that, at least during the 1980s, seemed almost impervious. The characters of “Akira” may have had superpowers, but they were no superheroes. They were orphans, punks, outcasts on the margins of society — characters to whom audiences around the world found they could relate. “It’s society’s outsiders — those who don’t belong — who are more intriguing to draw,” Otomo said during an interview promoting his 2017 tie-up with streetwear brand Supreme. 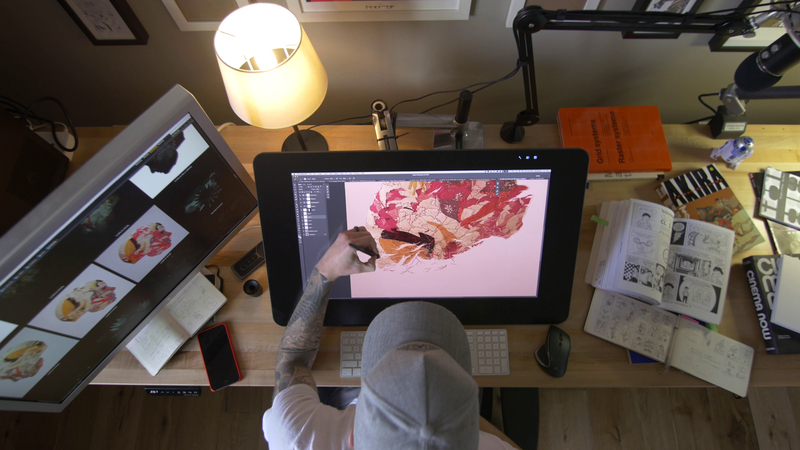 If the past three decades are any indication, they’re also more intriguing to watch. Katsuhiro Otomo's “Akira” is now available on Netflix.